Cheryl Liew-Chng is the author of Talents Onboard: Making Work-life Integration Your Competitive Advantage and the Founder/ Director for LifeWorkz, a boutique consultancy that partners organisations and individuals to create a sustainable and differentiated advantage. With more than 19 years of experience working with local and multinational corporations, her background spans the education, healthcare, retail and manufacturing industries in the areas of training, organisational development, corporate communications and business development. She has held senior executive positions in both line and staff functions. Hence, she is intimately aware of both business and people issues. Cheryl has spearheaded people development, succession management and career development projects. A certified career coach and work-life consultant, she has led in and consulted with organisations in the areas of work-life flexibility, resilience and leveraging on diversity relating to multi-generations and women in the workplace. She is also an international speaker and has published works relating to her key interest areas of creating a committed and engaged workforce, managing in multi-generational organisations and women at work. 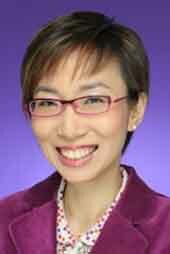 A mum to three young boys, she holds a graduate degree in Human Resource Development (MA HRD) from George Washington University and is an alumna of the National University of Singapore and INSEAD.